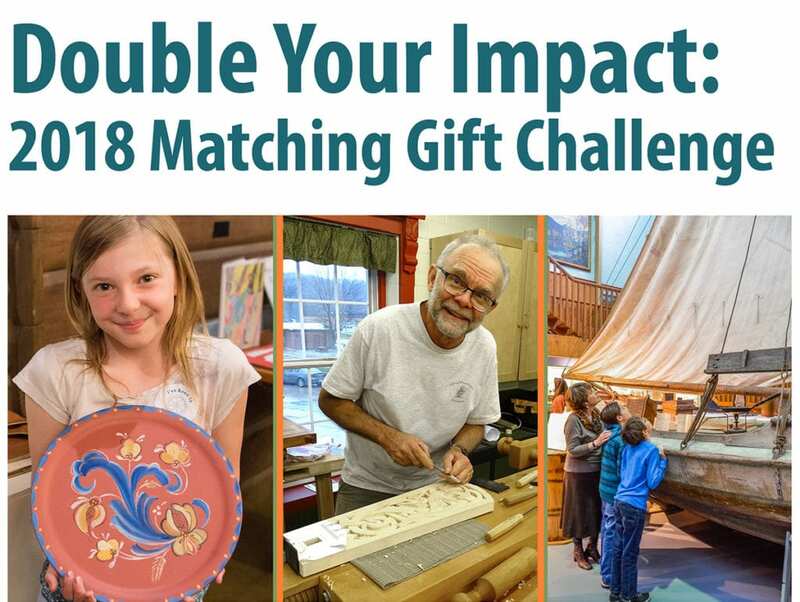 Our Board of Directors has issued a matching gift challenge. From now through December 31, your gift to the Vesterheim Annual Fund will be matched dollar for dollar (now up to $75,000). Any gift you give will be doubled. Provide children’s educational opportunities including the museum’s third grade Window on the World Program, fourth grade Pioneer Immersion Program, Barnetimen preschool program and Norwegian Culture Programs for Youth (including classes such as Norsk Skole – Norwegian School and Whittling Klubb for Kids). Help our curatorial staff care for the museum’s collection of over 33,000 artifacts and create exciting, highly acclaimed exhibitions. Enable people from all over the United States to learn about Norwegian-American culture and traditions through Vesterheim classes, tours to Norway, and special events. Everything we do, every single day, depends on generous gifts to the Vesterheim Annual Fund from friends like YOU! Please give TODAY. All gifts are important and all gifts make a difference!